The Awning Warehouse has built a 30 year reputation for installing quality retractable deck awnings. Throughout our history we’ve been known as the premier installer of deck awnings in New York and New Jersey. Our retractable deck awning systems consist of a metal framework covered with your choice of over 300 different shade fabrics. We will install the entire framework directly on the side of your house. 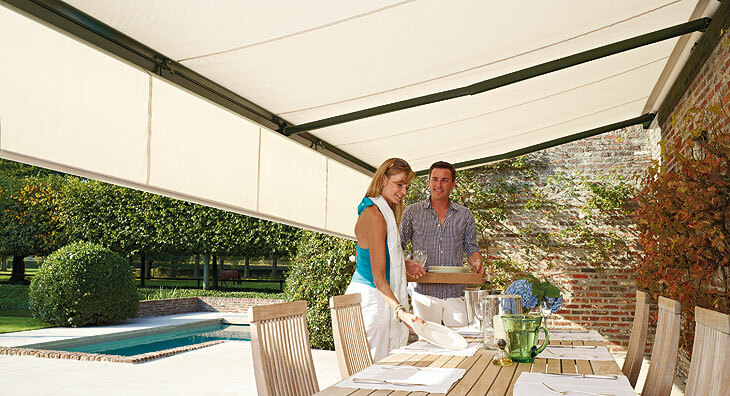 Our retractable deck awnings feature hidden “lateral” arms. You can open and retract the awning either manually with a hand crank and on some models with a motorized system controlled by a remote control or switch panel. 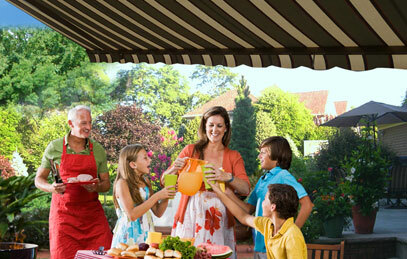 Retractable deck awnings provide instant shade or quickly roll up when you don’t need them. You don’t have to take them down, eliminating potential storage hassles. 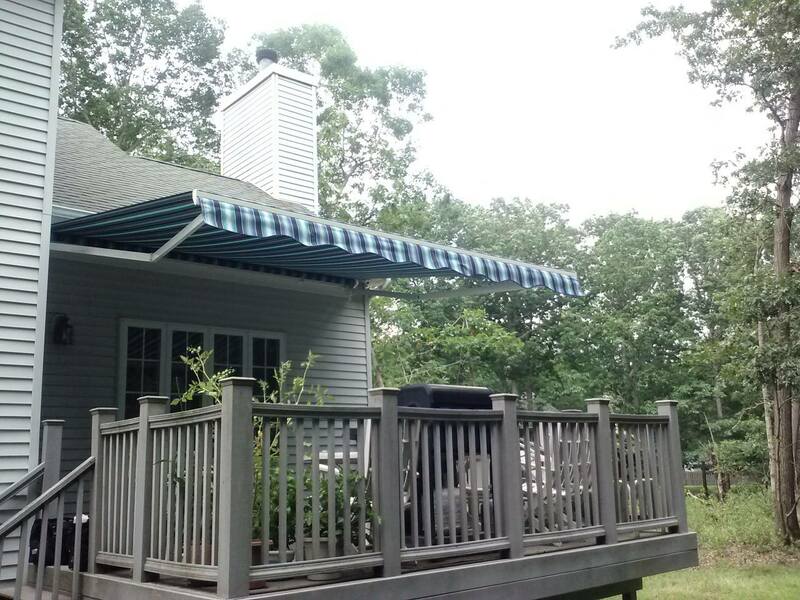 Our retractable awning systems don’t require a permanent structure on the deck. Many customers are opting to attach vertical sun shades to the extended awning to block the sun when its low in the sky. We definitely don’t recommend this as a do-it-yourself project for novices, a homeowner with basic carpentry skills could complete the job with a helper, but for the best results it’s always wise to contact a professional retractable deck awning installer. Our retractable awning systems can be installed on any type of siding. The brackets must be mounted to framing members to support the weight of the awning. You’ll need the appropriate clearance between the decking and the eave, gutter or overhang – contact one of our awning specialists to arrange a sales consultation. We will make sure that your retractable awning fits your deck perfectly and accents the surrounding outdoor environment.